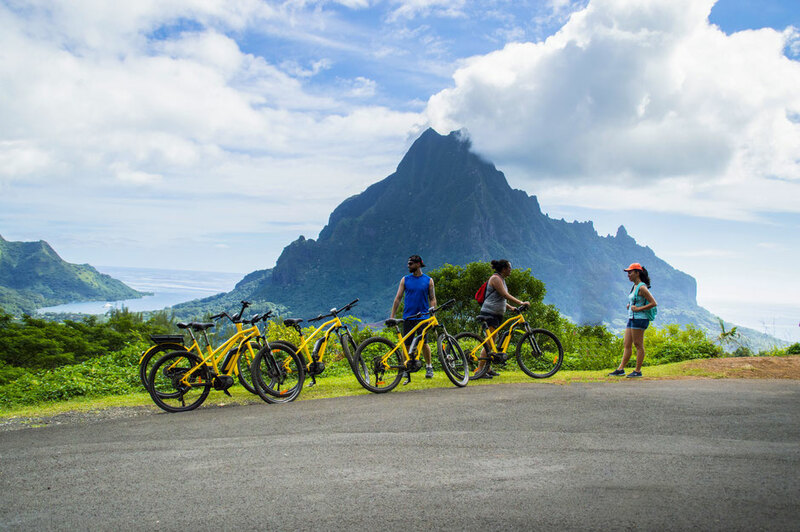 Get ready for the ultimate EBike adventure ! A must-see place in the heart of the ancient crater that offers a breathtaking view on the Cook and Opunohu Bays. You'll can admire the view and take beautiful pictures ! It's time to go back down to see the hundred-year-old tree, the very impressive 350-year-oldBanian ! Moorea as you will never see ! Discover the interior of the island ! 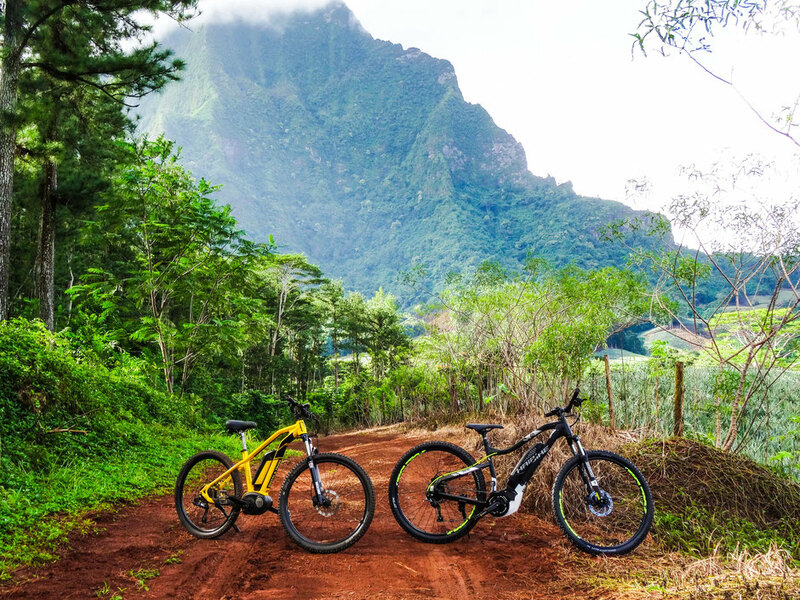 Off the beaten track, a guide will accompany you in mountain bike tours in the middle of pineapple plantations ! We have selected circuits of easy level and accessible to all. Rises, descents, soil... a fun ride without getting too tired !